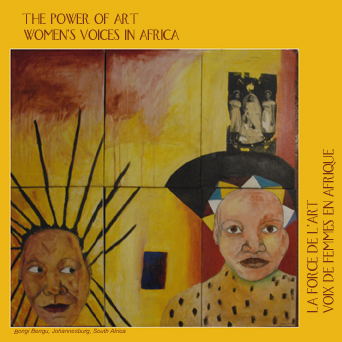 For a screening & discussion of the documentary "The Power of Art: Women's Voices in Africa." ​"Africa is not only a continent of war and crisis. There is also an Africa that is alive and well, and is often borne by women" Odile Sorgho-Moulinier (United Nations). This film explores African women artists as cultural producers and dynamic, multi-dimensional creators and shapers. Artists from across the continent share their impactful work and the assets and challenges of being African and a woman. 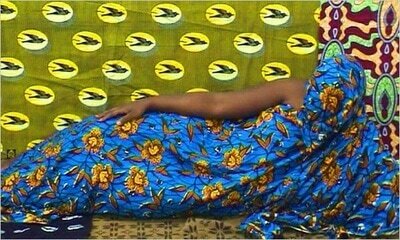 What challenges and assets do diasporic African women experience? 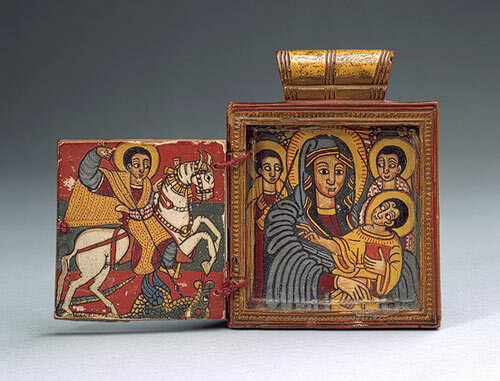 How do we define art & artisanship? In what ways are artisanship & enterprise linked? How do art and culture get reconfigured in the diaspora? 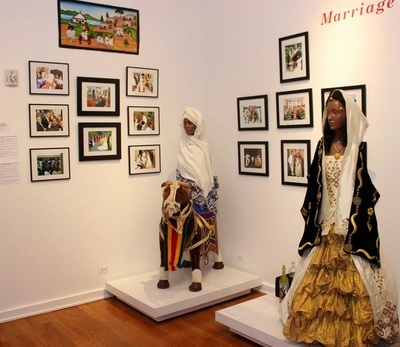 ​Originally from Somalia, Ms. Magan fled the civil conflict in Somalia as a child with her family and settled in Egypt where they lived almost ten years as refugees prior to moving to the United States in 1999. Ms. Magan received a Bachelor of Science degree from Michigan State University in Family and Community Services with a specialization in Health Promotion and International Development. She then went on to receive a Masters degree from the University of Chicago’s School of Social Service Administration where she was a recipient of the Kathryn Davis Peace Award, Albert Schweitzer Health Fellowship, and served as a Child Advocate for unaccompanied undocumented children through the Young Center at University of Chicago School of Law. Ms. Magan is currently a fourth-year doctoral student at Jane Addams College of Social Work at the University of Illinois at Chicago (UIC). She is a recipient of the 2014-2015 UIC Abraham Lincoln Fellowship and the Dr. Martin Luther King, Jr. Service Award. Ms. Magan’s dissertation, through the utilization of storytelling methods, explores the ways in which migration paths influence the settlement (integration) experiences of Somalis refugees in Chicago. 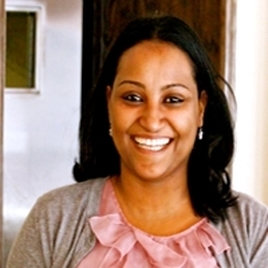 Hind Makki is Sudanese-American and the Founder of the Side Entrance Project. She is an interfaith educator who develops and delivers trainings with diverse communities on civic integration through interfaith action, anti-racism education and youth empowerment. As a writer for the Muslim Channel at the national religion news site Patheos.com, Hind often dissects the challenges facing Western Muslims, including sexism, racism, sectarianism and Islamophobia. 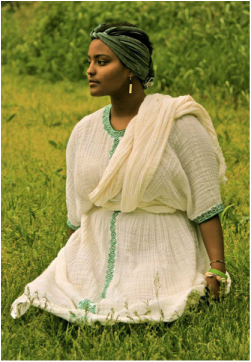 ​Ida Ayalew is a child of Ethiopian immigrants that was born and raised in the Midwest. She has traveled a good portion of the world in search of answers to her endless questions. Ida is in her last year of school at UMKC where she is the student body president and a leading example of what it means to be a strong, young, motivated, black, African woman who takes advantage of the opportunites that society has to offer. She aspires to one day be a professor of Philosophy and Abyssinian History at Addis Ababa University. Ida will be moving to the United Kingdom within the following year to earn her Ph.D. in African History and Philosophy, focusing on Abyssinian History in Ethiopia. As part of the diaspora, her dreams of success will always involve Ethiopia. Ida is a firm believer that "we humans live all our lives always trying to achieve happiness but happiness is a mere byproduct of self-love, self-acceptance and hard work."